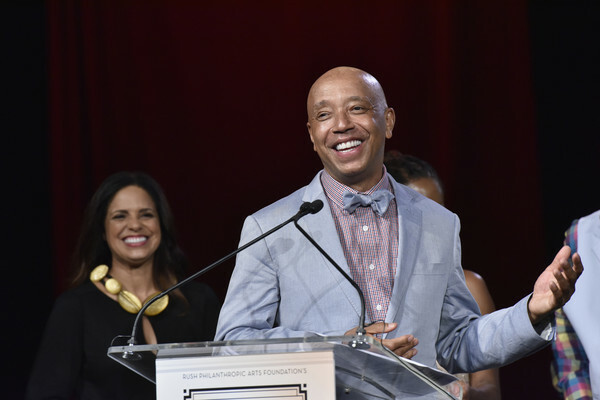 Def Jam co-founder Russell Simmons has announced that he’s launching his own movie awards show in response to #OscarsSoWhite, which is set to debut just four days before the Academy Awards. As the A.V. Club reports, Simmons’ All Def Movie Awards “will see “Beasts of No Nation,” “Chi-Raq,” “Concussion,” “Creed,” “Dope,” and “Straight Outta Compton” compete for the best picture award.” Other awards will honor Best Actor, Best Actress and Best Director, as well as Best Bad Muh F**ka, Best Helpful White Person and Best Black Survivor in a Movie. The awards will be recognized by members of the All Def Academy, and members of the public can vote online for two categories – Best Picture and Most Quoted Movie – through midnight on Feb. 23 by clicking here. The ceremony is set for February 24 in Hollywood at the Mann’s Chinese theater. Tony Rock, (Chris Rock’s younger brother), will host the event, which will feature a Black Carpet for celebrity presenters, arrivals and VIP guests. The All Def Movie Awards will be programmed as part of All Def Comedy Live, and admission to the show is by invitation only, with a select number of seats on reserved for fans by lottery. “I don’t expect a 90 year-old Academy member to see ‘Straight Outta Compton’ or vote for it. I’m more concerned that in 2016 there continues to be a stunning lack of diversity in the studios, in the green light process, in the decisions of what films and television series get made, and what actors get chosen. This needs to be addressed institutionally,” said Russell Simmons. So….we stop ourselves from being excluded by excluding? Makes perfect sense. Good job a**holes let’s keep the segregation we fight so hard to oppose RIGHT IN THE OPEN.